The test of a good accountant is said to be to ask them how much two and two is, and if they answer "What would you like it to be? ", hire them. That old joke has resonance for our industry. Last month PRWeek reported how the PR business was at a crossroads – aching to be seen as a profession and to have the confidence to see itself as such, but aware that the fundamental lack of barriers to entry and paucity of professional qualifications consigned it to unregulated trade. Accountancy is often used as an example of a proper profession, and as a parallel it’s fine; as a paragon of professional virtue it’s not. In business, mutability is much prized in some quarters and the term creative accounting was not coined for nothing. In this age of enforced transparency, where the ubiquity of smartphones guarantees that there is nowhere to run and even fewer places to hide, the old-fashioned style of PR – the lying, spinning, obfuscating approach to message management – has surely had its day. And to a great extent it has, although there will always be good to days to bury bad news; quid pro quo deals are still done to keep stories out of the press and some business leaders continue to look to their PRs for, ahem, creative presentation of certain truths. A bit like accountancy. However, the professional crossroads issue cuts far deeper than qualification and perception. At its epicentre is the fight for the heart and soul of the business. Oh the irony: this is not just about how you are seen, but the substance of what you really are. 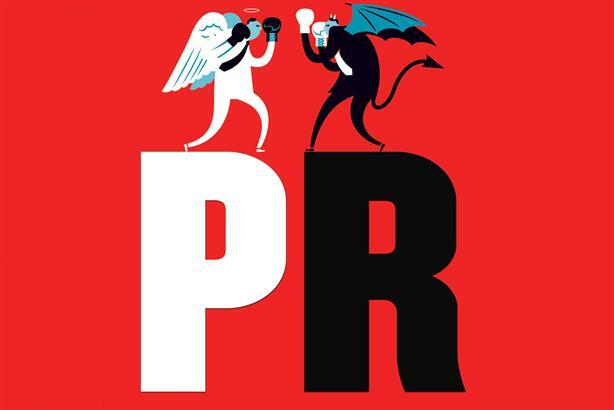 What is PR in the 21st century? PR people – what is it you actually do? And, as importantly, why do you do it? Are you corporate trailblazers dedicated to doing good in and out of the commercial environment? Are you business people performing a vital service that oils the wheels of both commerce and government? Do you worship at the altar of mammon or genuflect only to the greater good of the world and everything in it? There are those who believe PR can be and must be a force for good. In the opposing camp sit those who believe that PR is a pragmatic commercial discipline. PRWeek has given a platform to both. Bell Pottinger Private chairman Lord Bell has little time for PR apologists. Painted in the national press as the go-to guy for despots and dictators, his firm has no shortage of controversial clients, all of whom, he believes, have the right to representation. In the opposing corner you’ll find Robert Phillips, co-founder and head of chambers at Jericho Chambers and former EMEA president and CEO of Edelman. Phillips is an outspoken proponent of change – specifically that PR people must be the agents of corporate change – who argues that he loves PR so much he is unwilling to stand by and watch it sleepwalk over a cliff. Over the page you will find two more opposing forces. Ketchum senior partner, CEO, Europe and London chairman David Gallagher, a high profile campaigner for PR as a force for good, sets out his argument as to how and why PR can help to make the world a better place. The counterpoint is provided by Frank PR founder Graham Goodkind, who believes clients pay you money and you take your choice – in short, that PR is about achieving your clients’ objectives. Interesting though it is to watch this debate play out in the agency sector, to leave the argument there would be telling only half the story so PRWeek set about canvassing opinion among senior figures in the in-house community. Taken as a business issue, the force for good argument gets good traction. Successful corporations recognise the strategic and operational value of reputation management and many multinationals have board-level communications counsel. The corporate affairs or communications director works to inform commercial strategy and steer the board away from behaviours and activities that will detract from the company’s long-term success. "Ten years ago the communications team was often the last to know what was going on. It was at the end of the food chain and not properly plugged into the inner workings of the business or the board," says former EE communications director Stuart Jackson, who now runs the CEO’s office. "Over the past decade that has changed dramatically, with smart companies now bringing the communications team in on a project, programme or issue at the beginning of the process so it can help mold, shape and sharpen it. "The breadth of view that a decent communications person has – that connection with the pulse of public feeling and a nation’s mood – is invaluable beyond measure. This includes the big cultural and strategic issues that a business faces – the way it works and what it does, not just the stuff it produces. They act as the conscience of the business. They can influence, inspire, inform, warn, protect and predict. And because of that, their counsel drives business change," he concludes. Home Retail Group corporate affairs director Chris Wermann agrees: "The days of PR spin, lightweight messaging and covering up corporate activity are long gone. PR is the corporate conscience – its role is to question the consequences of an activity or action; to ask ‘have you thought about this from a reputation point of view?’ and to help steer the board on the best course." He accepts that at times there are purely commercial objectives, but argues that as doing good makes good business sense, the substance behind communications is to highlight those opportunities to do good for customers, colleagues and the communities in which your business operates. Neil Pattie, global head of external communications for Philips Lighting, is a passionate exponent of PR as a force for good who believes that anyone at any level within PR has the opportunity to make a difference. "Yes, there is a pragmatic side to PR, like launching products, and yes, we need to achieve the needs of the business we operate in, but there is a tremendous opportunity to help improve people’s lives while creating profits," he argues. "The modern myth of PR being populated by slimy individuals who’ll do anything to achieve their end is nonsense. This business is rep-lete with decent, professional people who operate with integrity." So far so force for good. Communications directors across finance, media and technology echo these views. It is when you add the agency element into the debate that problems occur. The idea that PR agencies are at the forefront of this trend and should be sticking it to the man, as it were, meets with considerable resistance. "If you are going to preach to potential clients, be careful how far up that pedestal you put yourself – that’s the distance from which you will fall," says one senior client who positively bridles at the thought of any agency trying to foist behavioural change on the organisation he represents. "Advising on the outcomes of corporate behaviours and feeding into corporate strategy is my job and I don’t need people who can’t know the innermost workings of my company as well as I do telling me how to do it," he comments. A significant player in financial services concurs, pointing out that she is advising at board level because she – the in-house communications director – has earned a seat at the table; how would an outside agency replicate that level of knowledge? "An agency’s job is to help defend and build the reputation of its clients in support of its commercial aims," asserts Rolls-Royce corporate affairs director Peter Morgan. "It is always interesting to hear external perspectives as all companies are in danger of drinking their own Kool Aid, so getting other views is helpful and should be weighed against internal perspectives. That said, I would not respond well to strategic corporate advice from them – if we want that, we’ll hire McKinsey. I understand the desire for PR agencies to charge management consultancy fees and that’s what this is about. It is not their job to force change [on corporations]. It is their job to support reputation management and reputation is of critical importance to all corporations." Jackson takes an equally cynical view: "In a world where agencies are looking to diversify, subvert the offering and stand out in a crowded market, how do you persuade a business that it needs another set of highly-paid external ‘thinkers’ beyond the in-house talent that it has nurtured?" While there is broad consensus PR can be a force for good, the vast majority of in-house folk interviewed were clear that achieving commercial obj-ectives is equally important. In an ideal world, those commercial objectives dovetail with activities that are of benefit to society. But the world is far from ideal. Not all communications people have that crucial seat at the top table. Not all corporates operate from a fulcrum of goodness. And, assuming that the activities engaged in are legal, there is the argument that everyone has the right to representation and that thus PRs have the right to make money from it. There is no one answer to this conundrum, save for the answer with which you as a practitioner are comfortable. Read thoughts from Lord Bell, Robert Phillips, David Gallagher and Graham Goodkind on how the industry should see itself.